The third largest Canary Island, Gran Canaria is an island of contrasts. From its lush forested north to its desert south, its diverse landscapes and areas of remote beauty have earned it the nickname ‘continent in miniature’, and it’s easy to see why. Beyond its stunning beaches and holiday credentials is a mountainous interior ripe and ready for exploration. Gran Canaria is located approximately 150km from the north western coast of Africa in the Atlantic Ocean, 65km east of Tenerife. Gran Canaria is perfect for winter sun, relax in beautiful hotels and enjoy luxurious resorts. Thanks to its mountainous interior and fabulous beaches there are plenty of activities and cultural excursions to keep visitors entertained. What is the time difference in Gran Canaria? What is Gran Canaria's currency? How long is the flight to Gran Canaria? Located on the island’s south coast, Maspalomas Sand Dunes stretch 8km from Faro lighthouse in Maspalomas to Playa del Ingles. Over 400 hectares of sand dunes provide a fascinating and unique beach, as well as a plethora of activities, including quad biking, camel riding, dune surfing, horse-riding and hiking. This mini Sahara looks different everyday as the dunes move with the winds and to protect the dunes, certain parts are restricted within a Natural Reserve. Nearer the sea are kiosks for refreshments, as well as sunbeds and parasol for hire. On the eastern and western ends of the beach are restaurants, cafés and bars, as well as an active lighthouse. A designated area is reserved for nudists. Gran Canaria is as diverse underwater as it is above, with the warm waters making the area fantastic for snorkelling year-round. 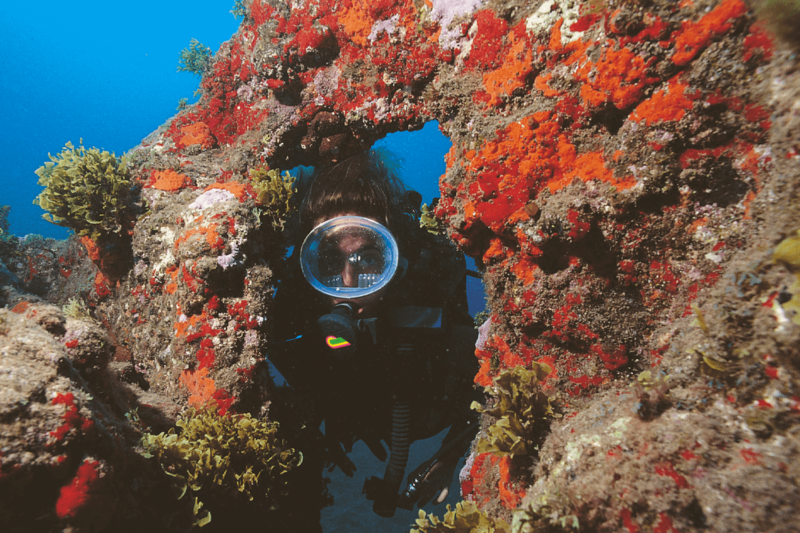 From wreck dives to volcanic reefs, diving is one of the best things to do in Gran Canaria. Spot manta rays, sea turtles and colourful fish within the many dive sites on the island, including Puerto de Mogan and Pasito Blanco. In Gran Canaria’s centre is the volcanic UNESCO Natural Monument, Roque Nublo (rock in the clouds). The large rock formation stands 80 metres tall at 1,813m above sea level offering panoramic views of the island. Surrounding the monument are fascinating lunar landscapes shaped by volcanic activity which make for great hiking. Gran Canaria is one of the best places in Europe to spot the stars, with low levels of light pollution and well-regulated air traffic, the skies are clear. Stargazing excursions take place regularly with night walks and guided tours. You can also visit a local observatory such as Temisas Astronomic Observatory and Roque Saucillo Astronomy Centre where you can learn about the stars and constellations. Cueva Pintida displays extraordinary cave paintings said to pre-date the Hispanic times. Located in the cave is an elevated walkway and on-site museum in which to uncover the secrets of the cave. Within the museum are video presentations, genuine archaeological discoveries and workshops for children. Open Tuesday – Saturday 10am – 6pm, Sundays 11am – 6pm, closed Mondays. Admission €6 per adults, €4 per child. Puerto de Mogan is a delightful coastal village with a small beach, lovely harbour and irresistible Mediterranean charm. A wonderful place to relax and recharge, there are winding canals and bougainvillea filled bridges giving a ‘Venice-esque’ ambience to the town. Simply meander the harbour and its trendy shops enjoying cafés and restaurants along the way. Each Friday a market takes place selling local produce and souvenirs. 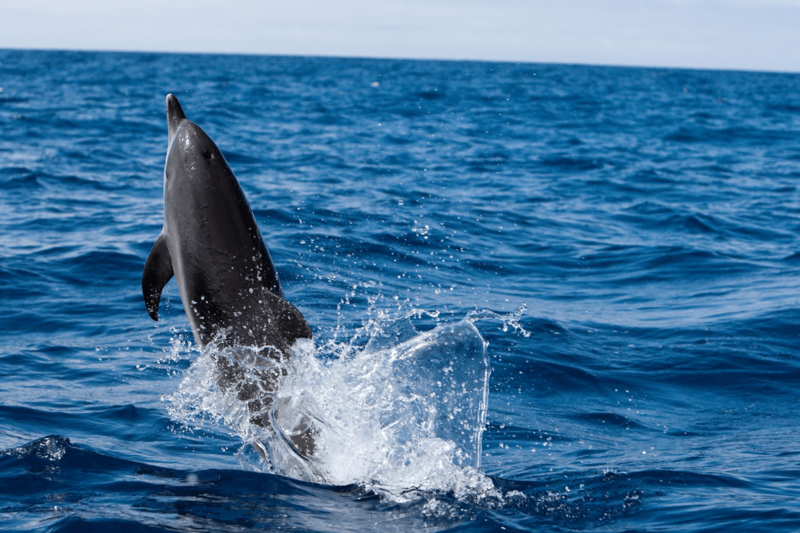 Thanks to the warm Atlantic waters, several species of marine life make Gran Canaria their home, including bottlenose dolphins, pilot whales, loggerhead turtles and even manta rays. Several boat tours and catamaran excursions operate for those who want to spot them. 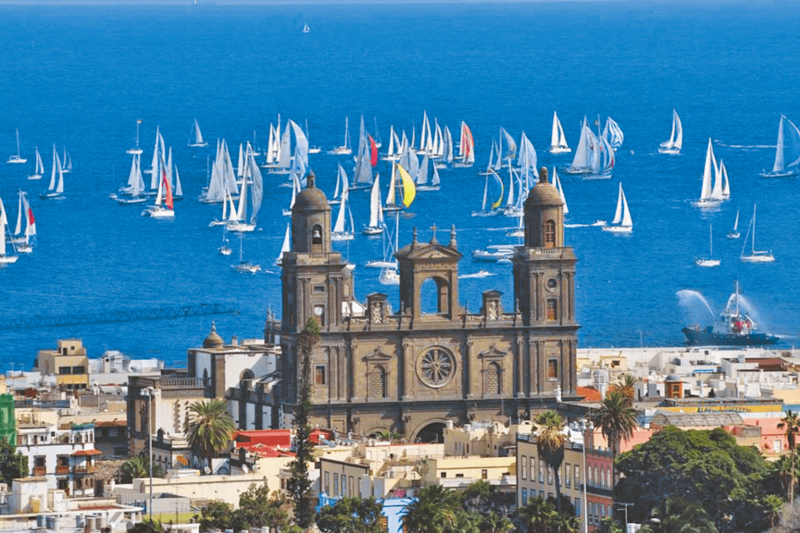 Gran Canaria’s capital, Las Palmas is a wonderful city with lots to do and see. Colourful colonial houses line the streets and shopping malls, piazzas and bustling squares play host to a plethora of cafés, restaurants and bars. Simply wander the streets and discover the wealth of museums, the stunning cathedral at Plaza de Santa Ana and the old Town Vagueta. Several markets, including Mercado del Puerto take place throughout the week selling local produce and souvenirs; and don’t miss the fascinating Pueblo Canario, a mock traditional Canarian village where actors wear traditional costume and perform live music. Pueblo Canario open Tuesday- Saturday 10am – 8pm, Sunday 10.30 am – 2.30pm, located in Parque Doramas. Vagueta was the original settlement of Gran Canaria and where the city of Las Palmas began. This 15th century old town gives evidence to a maritime past and traditional Spanish architecture. Its cobbled streets are lined with historical buildings and squares which play host to art galleries, museums and restaurants. In the centre is the magnificent Cathedral of Santa Ana, which is one not to miss, as well as the Museum of Sacred Art. Named after Spanish botanist Jose Viera y Clavijo who sought to open a botanical garden on the Canary Islands. Viera y Clavijo is home to over 600 indigenous plant species and a variety of cacti, succulents and interesting flowers. Great for a relaxing day away from the beaches. Entry is free, open 9am -6pm, located outside of Las Palmas. On the top floor of Maspalomas shopping mall is a permanent outdoor cinema. Various popular movies are shown in English under the magic of the stars with luxurious sofas, blankets and table service. Mon – Thu 9am – 3pm, 7pm – 1am Fri – Sat 7pm -1am. Gran Canaria’s only aquarium, Poema del Mar is home to over 350 species of marine life spread over three difference zones; jungle, reef and deep sea. Located near Las Canteras beach, open 9am – 6pm, adults from £22 and child from £15. Sioux City is a western style theme park showcasing an exact replica of the American Wild West. Several attractions and events take place including, horse exhibits, Indian and cowboy duels, as well as interactive Lasso lessons. There’s a tempting restaurant and dedicated events for birthdays. Tuesday – Sunday 10am – 5pm, Adults €22, children €16, free for children under 2. Aqualand is a large waterpark near Maspalomas with exciting rides for all the family. Be it the adrenalin pumping, near vertical Aquamania slide or the gentle river, there’s something for everyone. Day pass from €11, Open September – June 10am – 5pm, July – August 10am – 6pm. Cortijo de Caideras is a family run, traditional cheesery located in Gáldar. The cheese is made from their own flock of 200 sheep and cured for up to 4 months. You can tour the factory, taste the cheese and purchase your very own wheel. Bodegas Bentayga is a 21-hectare, rural vineyard in the centre of Gran Canaria which farms grapes from volcanic soil. Hidden in the mountains of Tejeda this stunning vineyard offers guided tours and tastings to experience the wine made here. Arehucas rum is made from sugar cane grown on the island and aged in oak barrels. The distillery offers tours and tastings including a tour around the oak barrels, which each have a signature of a famous visitor to the island. Open 9am – 1pm, closed weekends, €6 entry. Jurassic style crater formed by a volcanic eruption 1,970 years ago. Measuring 1000 metres in diameter and over 200 metres deep, the crater is a beautiful place to hike. Spot lizards, cacti, eucalyptus and orange trees during the 30-minute hike down. There is also a viewing platform at the top. A picnic spot within scenic countryside with a small lagoon where birds meet. Gran Canaria’s highest point at 1,949 metres, Pico de las Nieves offers panoramic views of the island and ocean beyond. Admire deep valleys, spectacular rock formations and views as far as Tenerife. There is a car park near the view point, but several hikes are available. 7,500 hectares of protected pine forest located on the islands west. 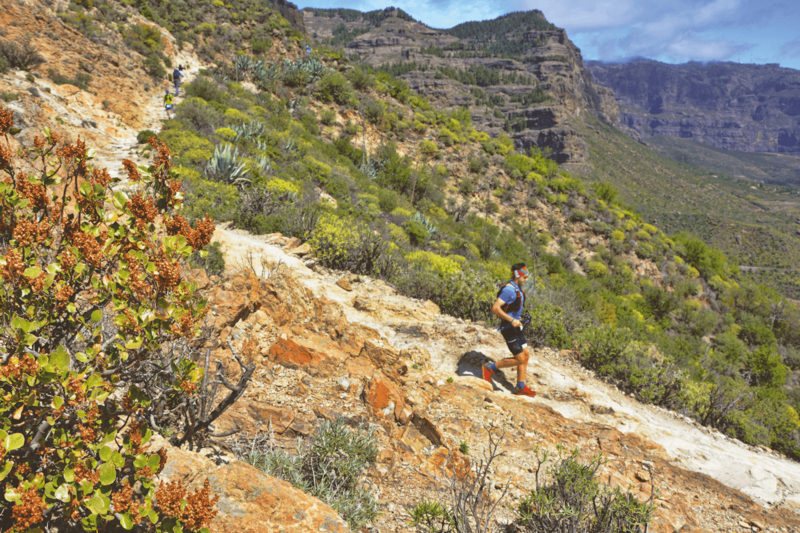 A visit here is one of the best things to do in Gran Canaria with a network of valleys, slopes and breathtaking views. 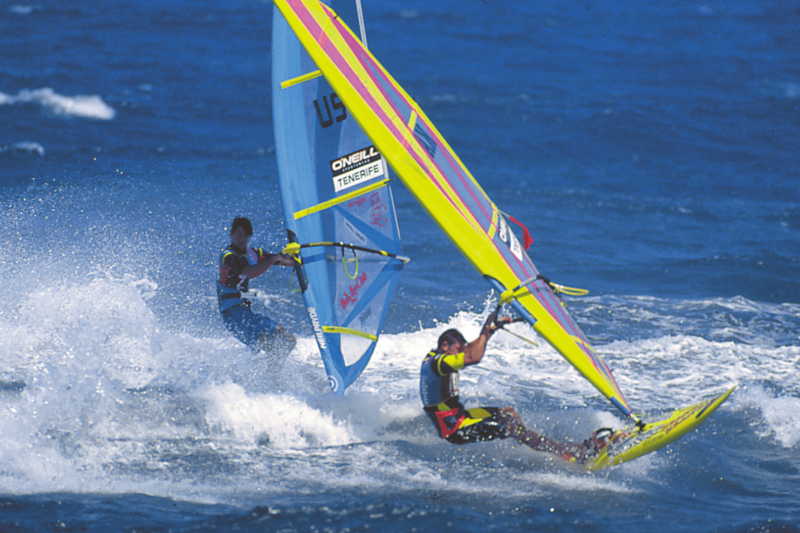 Thanks to its year-round climate and diverse coastline Gran Canaria is great for watersports including: surfing, paddle boarding, sailing, windsurfing, water-skiing, jet ski and much more. Most hotels offer watersports. Gran Canaria’s beaches are as diverse as the island itself. From the sand dunes of Playa de Maspalomas to the hidden sands of Sardina del Norte, there’s a beach for everyone in Gran Canaria. Relax on Playa de Mogan, catch rays on Playa de Amadores or catch waves at Playa Las Canteras. For more on Gran Canaria’s beaches, visit our post Best Beaches in Gran Canaria. Nightlife in Gran Canaria can be sophisticated, lively or both. From late night bars to chic cocktail haunts, there’s an evening venue to suite all tastes. For more lively nightlife head to Playa del Ingles with its array of clubs, bars and discos. For more sophisticated nightlife Maspalomas offers casinos, beach clubs and stylish bars. The city of Las Palmas is also great for nightlife with its lively Plaza de Espana. Rumoured to have been visited by Christopher Columbus in 1492, this impressive palace holds 13 exhibition rooms, ornate fountains and cabin replicas of the of ships La Nina, La Santa Maria and La Pina (Columbus’ ships). Chart voyages of the famous navigator on nautical maps and admire the gothic metal work on display. Open 10am – 6pm, Sundays 10am – 3pm, €4 per adults, €2 per child. Located in Las Palmas. An art museum showcasing the work of Canarian artist Néstor Martín-Fernández de la Torre. Open 10am -7pm, Sundays 10.30am – 2.30pm. 50c entry, located in Las Palmas. Art gallery located next to the Cathedral de Santa Ana in Las Palmas. Open Tuesday – Saturday 10am – 9pm, Sunday 10am – 2pm (closed Mondays), free entry to exhibitions. A miniature Madame Tussauds style museum using wax figures to depict the life of Gran Canaria’s original Guanches. Open 9am – 6pm, located in Fataga. One new course built in 2008 and one established course, both 18-hole championship courses. There is a stunning mountainous backdrop and a golf club in which to relax after a round. 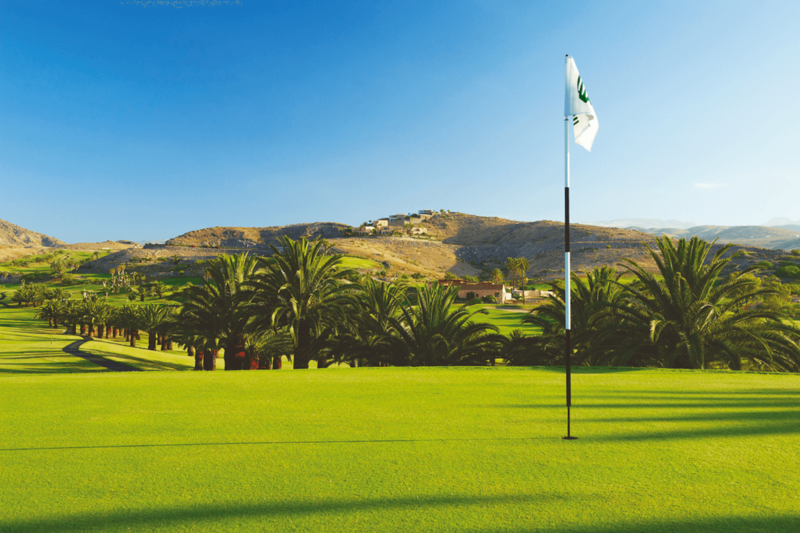 Located next to the Maspalomas sand dunes, Maspalomas golf is an 18-hole par 73 course designed by Mackenzie Ross. The course has hosted international events and offers a practice course, putting green, driving range, golf tuition and equipment. 18-hole championship course spread of over 650,000 square metres. This Arizona style course has an idyllic backdrop and refreshing coastal setting. There is also a 9-hole par 3 course available, as well as a driving range, putting green, chipping area, pro-shop and restaurant. 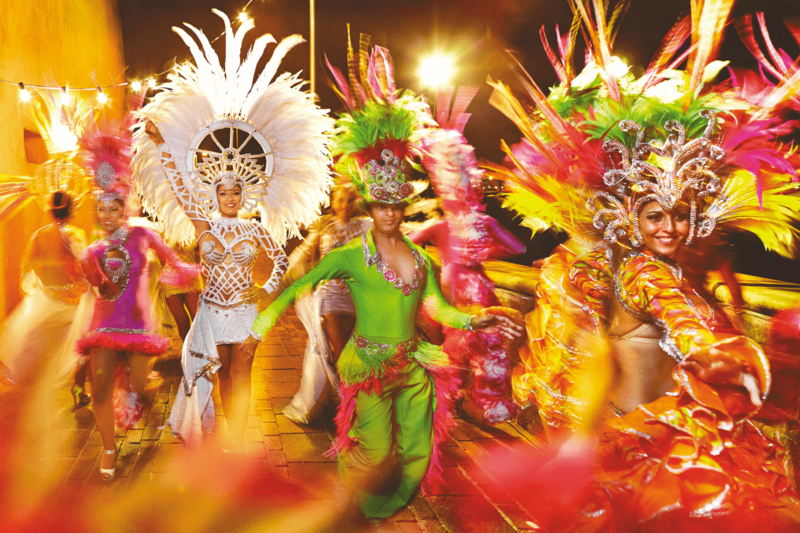 Held on the last week of February, Carnival is an exciting tradition of colourful costumes, dancing and fascinating traditions such as the burial of the Sardine. The carnival ends with the beginning of Lent. The festival of the almond blossom takes place in February to celebrate the bloom of almonds. 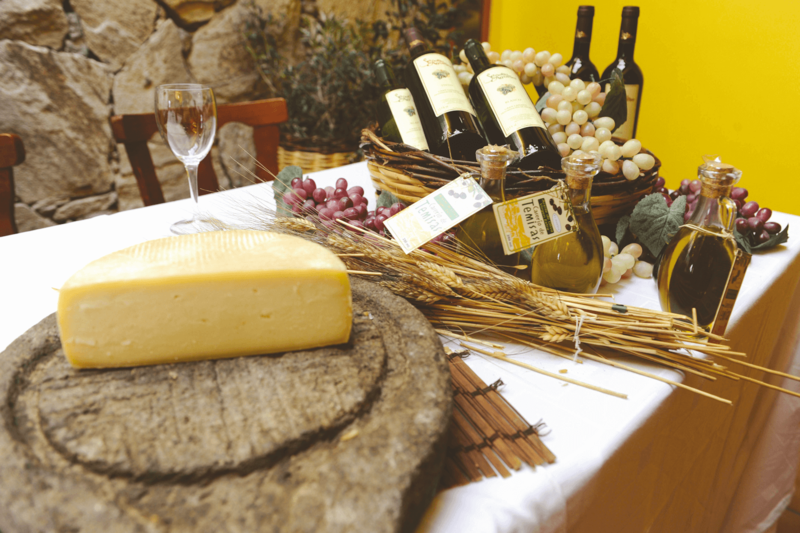 Taste local produce, wines, almond related treats and enjoy traditional folk dancing and singing. Locals and tourists alike come together in Tejeda and Valesquillo for gastronomic exhibitions, tasting opportunities and art shows. Sancocho – Traditional fish stew with bass or bream, originating from Latin America. Cherne (grouper) – A meaty fish served in several ways. Carajacas – Liver marinated in a spicy sauce, fried and boiled in a clay pot (nicer than it sounds). Sweet potato truchas – Almond and cinnamon flavoured pies. Papas Arrugadas – ‘Wrinkled Potatoes’ are boiled in their skins with salt and topped with a peppery sauce with garlic and herbs. Ropa Vieja – Chickpeas, meat, onion and potatoes with pulled beef served in a stew.